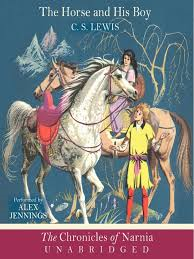 Listing The Horse and His Boy as one of the all-time best books for children under 10 sparked an interesting Twitter discussion on racism in C S Lewis’s work. This doesn’t mean, in my view, that all children’s books should be about race, but rather that we should get to the point where a character’s skin colour is simply irrelevant. Characters from ethnic minorities should be able to be heroes, villains, mentors, jokey sidekicks – it doesn’t matter. I’m not convinced that the reason ‘there are too many white faces in children’s books’ http://www.theguardian.com/books/2014/sep/18/james-dawson-diversity-debate-young-adult-childrens-books is all down to a worry that diverse books don’t sell. Children want a good story, they don’t care what colour the characters are. I think it’s more a wariness on the writers’ side about which characters should be from a minority background; heroes, yes, increasingly, which is good – but villains? Won’t that look like racism? 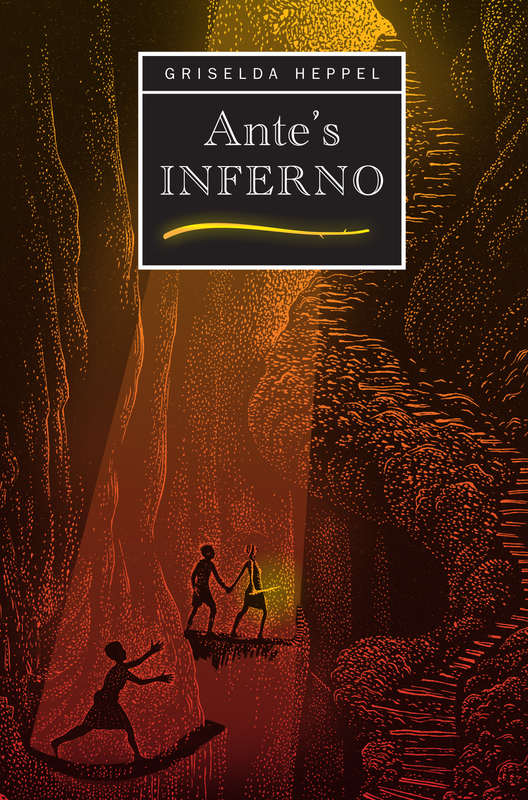 Antonia, the heroine of my MG book Ante’s Inferno is black. She is bullied mercilessly by Florence, a blonde, blue-eyed white girl, but not for the reason you might think. Children can find all kinds of grounds to be nasty to each other, it doesn’t have to be racism. For Florence it’s a mix of jealousy and a long-held grudge. Moreover, one of Florence’s friends, who naturally backs her up, is black, and Ante longs to be cool like her. This set-up felt natural to me. If I were writing in the 1950s, all these characters would have been white because that would have reflected children’s experience of the time. Now it’s diverse and that’s right too. People are people, whatever their ethnic background. I’ve been inspired by the wonderful choices of SF Said http://www.sfsaid.com/2015/04/the-top-10-childrens-books-of-all-time.html, and @Yayeahyeah http://www.bookishpeeps.com/thread-241.html to think back to the books I adored when under 10 (the only exception to that time frame is Harry Potter, which I read when, er, my son was under ten rather than me – but J K Rowling breathed such fresh life into children’s literature I couldn’t leave her off the list). The Horse and his Boy by C S Lewis. I’d pick all the Narnia series (except possibly The Silver Chair, which I found too sad at the time but often think about now). This one was a particular favourite. The Luck of Troy. Roger Lancelyn Green was incomparable in his retelling of Greek myths. Beautifully written, detailed and exciting. Finn Family Moomintroll by Tove Jansson. For sheer, charming absurdity – and a thread of darkness running through the stories that makes them even more intriguing. The Phantom Tollbooth. This is just the best! Norton Juster’s witty tale of Milo’s quest through the Kingdom of Wisdom to rescue the Princesses Rhyme and Reason is packed with delightful puns and wordplays. And how can you not warm to a book containing characters such as The Mathemagician and King Azaz the Unabridged? The Land of Green Ginger by Noel Langley. Another wonderfully ridiculous quest story, as Aladdin’s son Abu Ali is sent to rescue the Button-nosed Tortoise from the mysterious floating Land of Green Ginger, assisted by a half-pint Genie called Boomalakka Wee. The Log of the Ark by Kenneth Walker and Geoffrey Boumphrey. Sadly out of print now, perhaps because this hilarious tale of an ark peopled (or rather, animalled) not only by nervous elephants and cheerful hippos, but lesser known creatures such as the Wumpetty Dumps and Seventy-Sevenses, contains a sliver of darkness which grows as the story progresses. A classic which deserves to be much better known. The Saturdays by Elizabeth Enright. Does anyone read this lovely book anymore? Four siblings, ranging from teenage down to 7, hit on the brilliant idea of pooling their pocket money so every 4th week each can go out and do something exciting. If I’ve made it sound tame, it isn’t – the unwonted freedom they achieve is intoxicating. Alice Through the Looking Glass. The archetype of children’s fantasy, how could Lewis Carroll’s ground-breaking (ha ha, literally, with Wonderland) books be omitted? I’ve chosen the marginally less popular one, finding something particularly satisfying about its brilliant chess board structure. Harry Potter and the Philosopher’s Stone. J K Rowling deserves every bit of her phenomenal success. The combination of magic, adventure, charm (in all senses of the word), clever referencing of mediaeval mythical creatures, comedy and tight plotting have resulted in a uniquely original creation. And in the best tradition of the Last Shall Be First – that GIANT of children’s literature, Winnie The Pooh. A A Milne’s and Ernest Shepard’s tales of the Bear of Very Little Brain are enchanting, funny, warm, humane, sad, endearing – hugely enriching to childhood and adulthood alike. PS. Sorry, Down with Skool (Geoffrey Willans and Ronald Searle), I did have you on this list but decided that Nigel Molesworth and his grate freind Peason who have a face like a squished tomato really come into their own around age 11-12 so no longer qualify chiz chiz. Did Scrooge dodge a bullet?